You can see the full AFL rosters via Baseball America here. Brian McTaggart of MLB.com is reporting the Houston Astros traded catcher Ivan “Pudge” Rodriguez to the Texas Rangers today for minor league infielder Jose Vallejo and RHP Matt Nevarez. 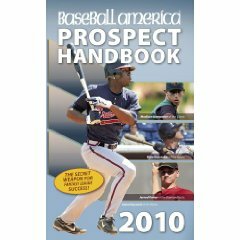 Vallejo was currently playing in AAA, and will likely join the Astros’ AAA team, but Nevarez was playing in the South Atlantic League at the time of the trade. Nevarez was 1-4 with a 2.83 ERA and nine saves in 11 chances for Hickory. If Nevarez stays in low A and joins the Legends he’ll give Lexington another late-inning reliever to go along side Patrick Urckfitz. Nevarez has 50 strikeouts and just 15 walks in 35 innings. Matt is 22. If Nevarez is placed on a differnet Houston farm team, check back at BluGrass Baseball for that information.